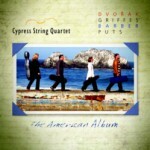 In their 20 years together on the concert stage, the four members of the San Francisco-based Cypress String Quartet (CSQ) played thousands of concerts throughout North America, Europe, Asia and Latin America. Praised by Gramophone for their “artistry of uncommon insight and cohesion,” and by The New York Times for “tender, deeply expressive” interpretations, they recorded over 15 albums and are played regularly on hundreds of radio stations throughout the world. They were also heard on the Netflix original series “House of Cards,” and collaborated with leading artists ranging from Michael Franti of Spearhead to modern dance companies. 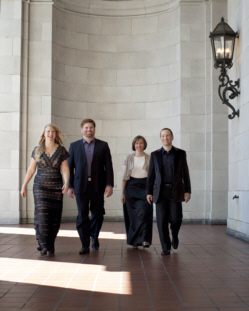 From its inception in 1996, the CSQ created a niche in the world arts community as one of the most passionate, insightful, and innovative ensembles of our time. 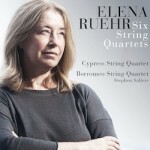 Whether performing for seasoned concert-goers or people being exposed to classical music for the first time, the CSQ possessed a unique ability to articulate what is enthralling about the masterpieces they perform. 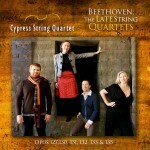 In addition to definitive interpretations of masters such as Beethoven, Mozart and Schubert, the CSQ commissioned some of the most important composers of our time including Kevin Puts, Philippe Hersant, Jennifer Higdon, George Tsontakis, and Elena Ruehr. Dedicated to mentoring and training the next generation of exceptionally talented individuals, the CSQ was visiting artist at Harvard, MIT, Stanford, University of California Berkeley and other elite universities. The CSQ’s passion for sharing music extended far beyond the classroom and concert hall halls to non-traditional venues such as boardrooms, art galleries, and private residences. By combining passionate performances and lively discussion, the CSQ created unforgettable experiences for those fortunate enough to participate. At the heart of each CSQ residency was the belief that music enriches learning and living. 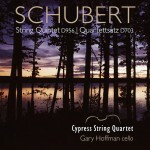 The members of the Cypress Quartet performed on exceptional instruments including violins by Antonio Stradivari (1681) and Carlos Bergonzi (1733), a viola by Vittorio Bellarosa (1947), and a cello by Hieronymus Amati II (1701). 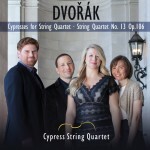 The Cypress Quartet took its name from the set of twelve love songs for string quartet, Cypresses, by Antonin Dvořák. 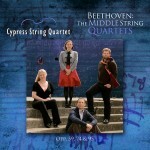 Other Cypress String Quartet recordings released on the AVIE label include the complete String Quartets of Beethoven (The Earlys, AV2348; The Middles, AV2318; The Lates, AV2356), an all-Dvořák disc featuring Cypresses, B152 and String Quartet in G, Op.106 (AV2275), an all-Schubert disc featuring String Quintet D956 with cellist Gary Hoffman paired with the Quartettsatz D703 (AV2307), and The American Album featuring quartets by Barber, Dvořák, Charles Griffes and Kevin Puts (AV2304). 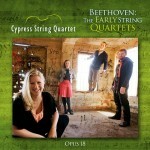 Cypress String Quartet has no upcoming tour dates. Please check back soon.